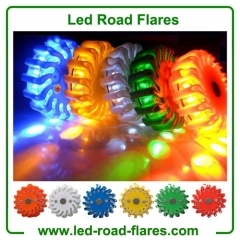 Led Road Flares is an Ideal for Automobile Emergency Safety Rescue and Survial Kit. 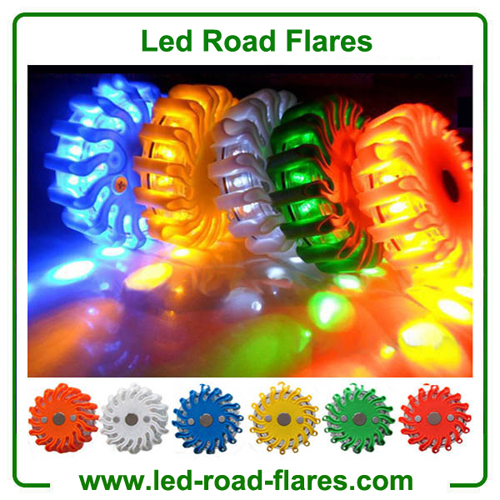 1.Led road flares in Orange/Amber/black/green/yellow/red/blue/white with 9 flash modes. When you’re driving on the road, it is essential to keep in mind that anything can happen to you as well as your vehicle anytime. You car could crash, you may get a flat tire, you could even face a mishap or come over someone. You can handle these situations successfully only when you are well prepared. One best thing you can do to handle such situation is have anemergency kit in your vehicle. They generally contain LED flares , road cones waterproof matches, flashlights and emergency light sources. There are, of course, several uses of an emergency light supply in your car, particularly if you’re in an accident, have a flat tire, ofif your car malfunction. As far as emergency lights are concerned, most experts suggest having a LED light supply in your vehicle since they produce better light than conventional emergency light source. 2.Plug 12V/24V car charger or 120V/220V wall charger into power port of charger. 3. Connect to power supply, the indicator light will light up as below. Fully Charged: The indicator light aside flares stop flash and keep steady. If indicator light turns red, not flashing, it means flares is placed incorrectly and can not be charged. *The uses are limited only by your imagination. Customers who need a reliable, ultra-rugged, ultra-bright lightcan range from SCUBA divers, hikers, and cyclists . Led Road Flares is a Must-Have device for car driver! Led Road Flares is a great device to make you and your car seen and safe. If your car breaks down at night, in the fog or rain day,Magnetic Rechargeable Led Road Flares will make your car seen to prevent traffic accident at night or on a rainy or foggy day. It is an essential device for traffic control, firefighters, EMTs, rescue services, first responders, members of emergency response teams and the general public.